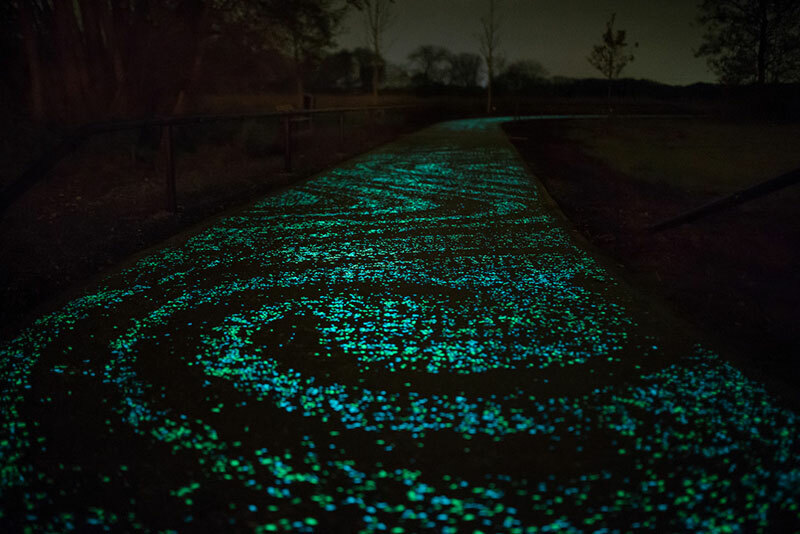 The world’s first solar-powered, glow in the dark bicycle path opened today in the Netherlands city of Eindhoven. The Van Gogh-Roosegaarde cycle path was designed by Daan Roosegaarde and constructed by Heijmans. 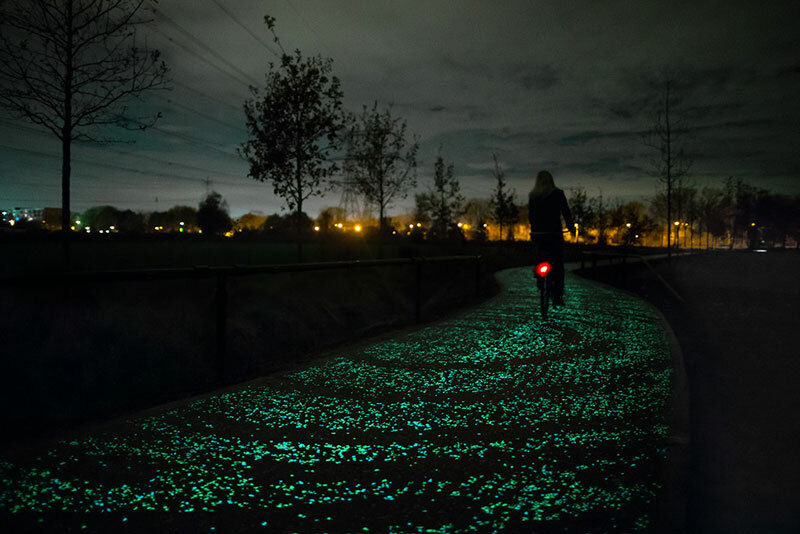 The glow in the dark bike forms part of the Van Gogh cycle route in Brabant. 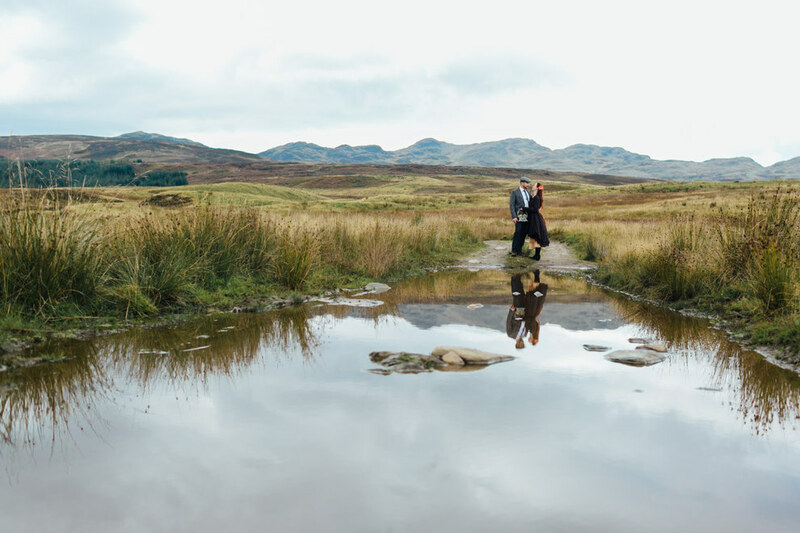 The path is illuminated by thousands of twinkling stones and was inspired by Van Gogh’s world-famous painting, Starry Night. The opening of the cycle path marks the start of the Van Gogh 2015 international theme year. In 2015, the 125th anniversary of the death of Vincent van Gogh (Zundert, 30 March 1853 – Auvers-sur-Oise, 29 July 1890) will be commemorated with a comprehensive cultural programme on the theme: 125 years of inspiration. The cycle path forms part of the Van Gogh cycle route that connects the Vincent van Gogh heritage locations in Brabant, Vincent’s homeland. The Opwettense and Colse watermills featured in his paintings will now be connected via the new cycle path; bridging the gap between contemporary design, innovation, cultural heritage and tourism in Brabant.